lightness of her story, her quirkiness and charm, that makes her such a breath of fresh air. Though she never made it onto the actual Avengers, she was a member of the comedic Great Lake Avengers, and later served as a nanny to Avengers Luke Cage and Jessica Jones. 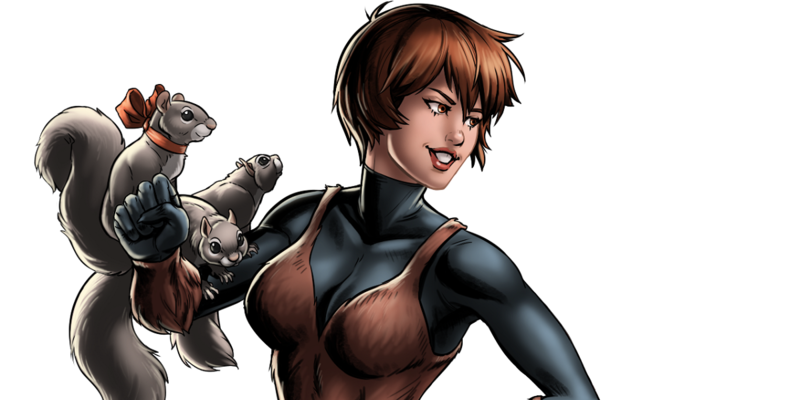 The last year saw her headlining her own comic title, The Unbeatable Squirrel Girl, which follows Doreen as she attends college and battles foes, whom she often defeats via overwhelming hordes of squirrels. Squirrel Girl is proof that a story doesn't have to be deadly serious or darkly comedic to engage readers; sometimes, being fun is enough.